Find my Romantic Short Story here on Amazon! Each year consists of many seasons, each with its own unique appeal. Besides winter, spring, summer, and fall, within the pages of this book you'll find seasons of life and love, sports seasons, and even seasons of discovery. The multiple award-winning Bethlehem Writers Group, LLC, once again brings you stories that span a range of genres. Readers of mystery, romance, humor, paranormal, children's, literary, popular, and women's fiction will all find something to love. No matter your favorite season, you're sure to discover a tale to amuse and delight. "Beautiful voices, gorgeous writing--fresh and vibrant and compelling and irresistible. This collection of stories--each one a gem--is a real treasure. Dip in and try one--lounging by the shore or curled up by the fire, you'll find a perfect story for every season." Hank Phillippi Ryan--Agatha, Anthony, Macavity, and Mary Higgins Clark Award-winning author "
"Once Around the Sun proves the short story is alive and well! 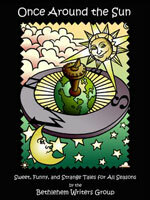 Cover to cover, it is packed with delightful, insightful, and exciting short stories. What a treasure! Perfect weekend reading. 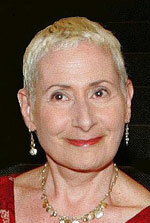 "Rebecca Forster--USA Today bestselling author of THE WITNESS series and other thrillers "
The Bethlehem Writers Group, LLC (BWG), founded in 2006, is a community of mutually-supportive, fiction and nonfiction authors based in “Christmas City, USA,” Bethlehem, Pennsylvania. The members are as different from each other as their stories, spanning a range of genres including: children’s, young adult, paranormal, humor, inspirational, mystery, science fiction, fantasy, women's lit, romance, literary fiction, and memoir. Recently, I interviewed middle-grade author, Stacey Wilk, for the March/April issue. 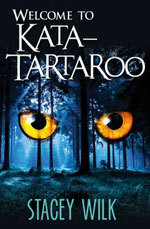 You can find out more about Stacey and her new novel, Welcome to Kata-Tartaroo, at this link. Want to Write? Love to Read? Mark Your Calendar for the 5th Annual Create Something Magical Writers & Readers Conference, Saturday, March 15, 2014, at the Renaissance Woodbridge Hotel. Luncheon Registration Form Available HERE. Attending Editor and Agent Guests HERE.